Perhaps lost in the hoopla of Super Bowl hysteria, a significant event took place in the world of sports last week. Sloane Stephens catapulted herself into the upper ranks of the women’s tennis world by defeating Serena Williams in the quarter finals of the Australian Open. Williams will no doubt go down as one of the greatest female players in the history of the sport when it is all said and done and, believe me, she ain’t done yet. Williams raced out to an early lead when she took the first set 6-2, and it looked as if she was going to make short work of the young upstart. In the second set, however, one could see that Serena’s troublesome sore right ankle started to bother her and then she strained her back as she made a sudden stop to avoid the net. To her credit, she fought through these nagging injuries, like she has done so many times in the past, and did not use them as an excuse for the defeat. Stephens went on to rally to win the second set and more than held her own to win the third set and the match. I have been telling folks for the past two years to watch out for this kid. I watched her climb the amateur ranks, where she demonstrated that she not only had the talent to succeed in the sport but she also showed that she had the heart and determination to be a champion. And she made that known off the court as well. Last year Stephens even took on the United States Tennis Association (USTA) for sponsorship money. 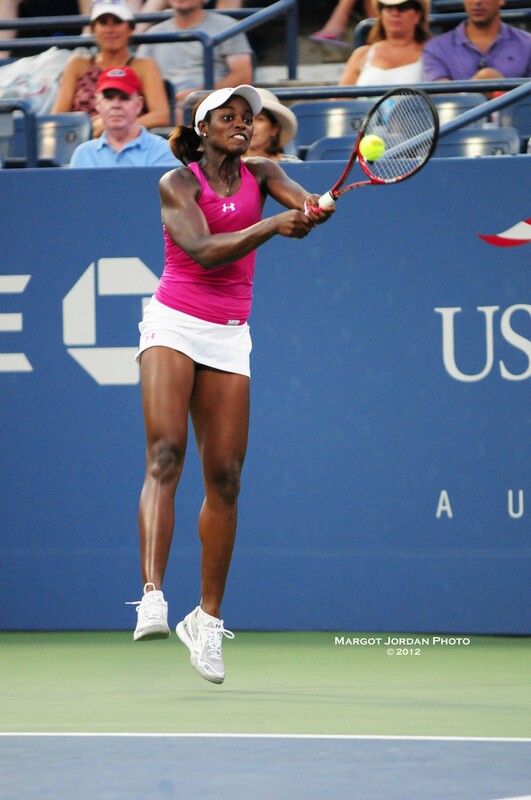 The USTA was of the opinion that she was not ready to turn pro and did not sponsor her as such. The young Stephens went out and secured her own sponsorship and a year later she found herself in a major semifinal where she lost to Victoria Azarenka. Stephens also has an unique personality that will serve her well off the court. Between now and the US Open, I can see her in many endorsements, as sponsors will want to capitalize on her charm and persona. Don’t expect Serena to give up the throne easily. Hopefully this might turn out be the beginning of a great rivalry. One thing is for sure, one quarter final victory in a major does not guarantee future success, but I see great things in this young lady’s future.